It’s a widely-used term which refers to a corporation’s most important senior executives. 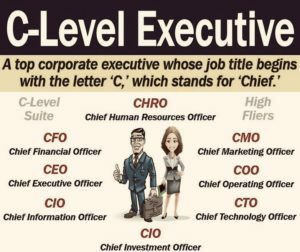 C-Suite gets its name from the titles of top senior executives which tend to start with the letter C, for chief, as in chief executive officer (CEO), chief financial officer (CFO), chief operating officer (COO), and chief information officer (CIO). Also called “C-level executives. 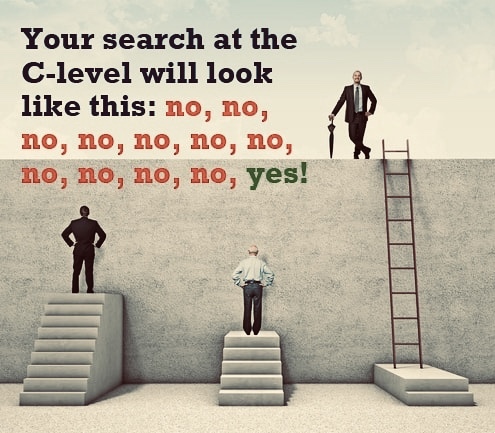 The C-suite is considered the most important and influential group at a company, the highest career point. These representatives work with each other to ensure that the company’s strategies and operations are aligned with the established plans and policies. So, and what about the Investor Relations and the C-suite? It is commonly recognised as a key relationship. We perfectly know that building a reliable strong relationship with their CEO and CFO is crucial for IROs, who act as advisers of key strategic messaging and whose credibility with investors and analysts is based on “being in the loop”. In this challenging economic environment, it is increasingly important for companies to differentiate themselves from their competitors. The increased speed of communication, fuelled by the growing dominance of all things digital and the rise of social media, has transformed the way we consume information. Although IR is not the decision-maker on strategy, M&A, messaging or responding to street feedback, it does provide the C-suite with the required information, candid feedback from the shareholder’s point of view and suggestions on overall strategy. One of IROs key contribution is to help manage senior management’s time and to keep them accessible to investors and analysts. References to the effective use of management time were plentiful, as were comments about “reducing the burden of IR on the CEO and CFO” and even the need to educate senior management and show them in the best light. We all know that IR’s key responsibilities include: Bringing discipline and structure in order to get the CEO and CFO out on non-deal road shows and providing education to upper-level management and the C-suite about the value of being proactive with investors and analysts. Depending on their company’s culture, some IROs probably need to make a case for senior management to devote more time to roadshows, investor conferences or interaction during site visits. They should also strive to make productive use of a CEO’s or CFO’s time spent on IR. How important is IR’s seat at the top table? In the majority of companies, an IR representative regularly attends board meetings. This is more likely to happen in small caps, where IR representatives are more likely to attend board meetings than provide a written report. This could be because there is greater likelihood that IR representatives from smaller companies are often members of senior management. From a care ers perspective, it is increasingly considered a must to have experience in finance, especially for professionals wanting to step up to the CFO role. It is quite common for IROs – head of IR – to become vice president and CFOs. For instance, the top of the corporate career for a financial analyst and accountant in the financial industry is the CFO position. Portfolio management, accounting, investment securities, investment research and financial analysis are examples of skills that are built over the years. The CFO has a global mindset and works closely with the CEO to find new business opportunities for the company, while weighing the financial risk and benefits of each potential venture. If we take into account the people from IR who are now in C-suite roles, we can recognise their mindsets are very broad. We believe that these people do more than simply interface with investors: they might collaborate with the CEO to win the company a different external placement or assume diverse challenges. Experts in our sector think the number of IROs entering the highest corporate levels is growing. A typical path as we said is to become CFO – many times, especially in smaller companies, the Head of IR coincides with the CFO – but it also very common to be responsible of the IR office and being at the same time, director of M&A and/or of Corporate Communication. Some IROs later become CEO. 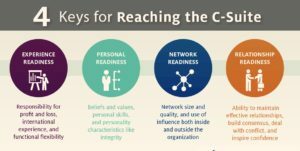 We have known professionals who made have made lateral moves – or even have taken a step backward – in order to broaden their skill sets in preparation for their eventual post in the C-suite. The IRO has to communicate the vision of the CEO (or the CFO) to investors and the public. Once he moves into the C-suite, he has to switch and start to tell also his own vision which requires more strategic thinking. 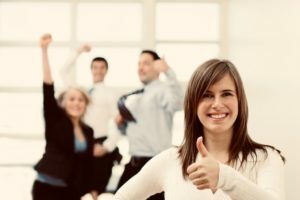 Learning multiple parts of the IR business and try to be involved in new and different assignments, can better position an IRO for a promotion to the C-Suite, in my view.